A new Indiana University report shows nonprofit employees work in finance, construction and other industries traditionally considered the domain of for-profit businesses. The report demonstrates that the Indiana nonprofit sector is more complex than typically portrayed. While most nonprofits are familiar charities like hospitals, social service agencies and cultural institutions, nonprofits operate in all but one of the 20 industries defined by the North American Industry Classification System -- including finance, construction, utilities and information. Examples include thrift shops in retail trade, protected workshops for people with disabilities in manufacturing, senior nutrition sites in accommodation and food services, and cooperatives in utilities, agriculture, forestry, fishing and hunting. 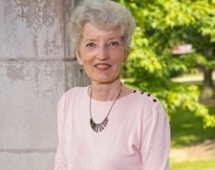 “While nonprofits in these nontraditional industries are often overlooked and remain a small segment of Indiana’s economy, they appear to be remarkably resilient and competitive,” said Kirsten Grønbjerg, associate dean of faculty at the Indiana University Bloomington School of Public and Environmental Affairs and the Efroymson Chair in Philanthropy at the Indiana University Lilly Family School of Philanthropy in Indianapolis. Grønbjerg is the project director and lead author of “Indiana Nonprofit Employment: Historical Trends in Minor Nonprofit Industries, 1995-2011.” The report is a joint project of SPEA, the Indiana Business Research Center at IU’s Kelley School of Business and the IU Lilly Family School of Philanthropy. The authors conclude that while there is much diversity among nonprofit industries, and while nonprofits operating in nontraditional industries are easily overlooked, they have shown remarkable growth and in many cases have gained market share over their for-profit counterparts. The analysis demonstrates that nonprofits operate and thrive in a wide variety of industries and in forms other than the traditional 501(c)(3) charity organization with which the general public is most familiar. Over time, total nonprofit employment in minor industries grew at a faster rate than their for-profit counterparts over the 1995-2011 period (up 35 percent compared to a loss of 7 percent). Nonprofit employees are particularly prevalent in five minor industries selected for more detailed analysis: finance and insurance; information; management of companies and enterprises; professional, scientific and technical services; and utilities. These five selected minor nonprofit industries account for about two-thirds of nonprofit employment in all minor industries combined and as a group out-performed their for-profit counterparts in the same industries. Indeed, total nonprofit employment in these five industries grew 29 percent, nonprofit payroll grew 74 percent, and average nonprofit wages grew 35 percent (all adjusted for inflation) from 1995 to 2011. By comparison, total for-profit employment in these five selected industries grew only 2 percent, payroll increased by 25 percent, and average for-profit wages grew by 23 percent over the same period. In 1995, nonprofit average wages in these five selected industries combined trailed for-profit average wages by $7,000 or so; by 2011, the gap had been reduced to $3,700. In most of these five industries (all, except for finance) nonprofits either maintained or increased the number of employees and payroll during the recession years of 2001 and 2008-09. This differs from their for-profit counterparts, which all experienced declines in both employment and payroll during two of the three recession years. However, there was also much diversity among the industries. Finance and insurance had the largest number of nonprofit employees (averaging 3,888 over the period) but declined overall, while the highest percentage of growth over time was in the management of companies and enterprises industry -- up 181 percent in nonprofit employment, 62 percent in average annual wages and a massive 354 percent in payroll. Lastly, the utility industry saw the highest average annual wage at $70,000 in 2011, more than all other major and minor nonprofit industries. The report is the 11th nonprofit employment report in the Indiana Nonprofits: Scope and Community Dimensions project, which Grønbjerg directs. The study’s co-authors are current and former IU Master of Public Affairs students Rachel Breck, Rachel L. Miller and Deb Seltzer. For more information or to speak with Grønbjerg, contact Jim Hanchett at the School of Public and Environmental Affairs, 812-856-5490 or jimhanch@indiana.edu; Adriene Davis Kalugyer at the Lilly Family School of Philanthropy, 317-278-8972 or adrldavi@iupui.edu; or Steve Hinnefeld at IU Communications, 812-856-3488 or slhinnef@iu.edu. The Indiana University Lilly Family School of Philanthropy is dedicated to improving philanthropy to improve the world by training and empowering students and professionals to be innovators and leaders who create positive and lasting change. The school offers a comprehensive approach to philanthropy -- voluntary action for the public good -- through its academic, research and international programs and through The Fund Raising School, Lake Institute on Faith & Giving and the Women’s Philanthropy Institute. The Johns Hopkins Center for Civil Society Studies is a leading source of research and knowledge about the nonprofit sector, social investing and the tools of government. The center's research and educational programs seek to improve current understanding, analyze emerging trends and promote promising innovations in the ways that government, civil society and business can collaborate to address social and environmental challenges. The center is directed by Lester Salamon and is part of the Johns Hopkins Institute for Health and Social Policy.